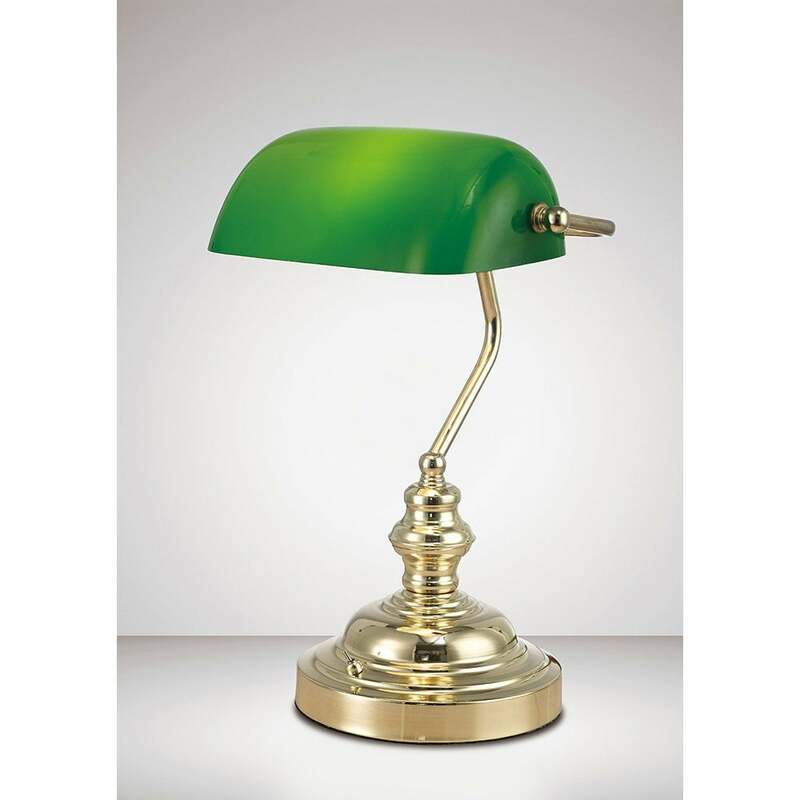 Deco Morgan single light bankers lamp features a substantial design base with a toggle switch all in a polished brass finish complete with a green glass shade. The product code for this lamp is D0084. The classic design is an ideal lighting solution for your traditional space adding character and charm to your study area whilst creating perfect task lighting for your requirements. The lamp is IP20 rated, suitable for dimming and operated by a toggle switch located on the base. Also available in satin nickel complete with white shade or antique brass with green glass shade, both of which can be purchased via our website.